Elder Richard G. Scott passed away this week. What a great soul he is. I love how much he adored his wife. I appreciate meeting him at our Stake Conference in Idaho. I value his wisdom and sincerity. He seemed to be one who endured to the end. We will miss those who have passed on, but I hope that our family will remember these men and their testimonies. p.s. 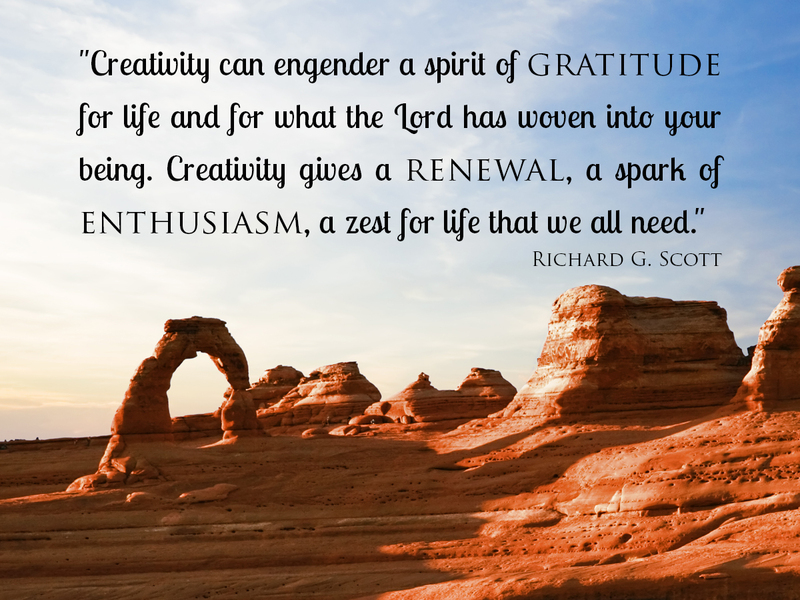 this quote shared by Elder Scott reflects my feelings on creativity… a huge part of my life. It does bring a zest and enthusiasm for the things I am grateful for in my life.